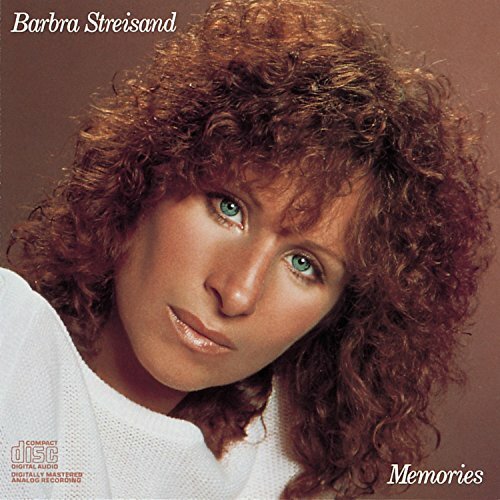 In November of 1981, Barbra Streisand released her twenty-seventh album entitled MEMORIES. This album is actually another greatest hits compilation, her third greatest hits package if you count them one by one. This is a greatest hits compilation with the inclusion of two new songs that seem to have fit this album perfectly. New song. This song is actually the theme song to the Broadway musical play, CATS. This is such a beautiful song and Barbra sings it so beautifully. From the album BARBRA STREISAND'S GREATEST HITS VOLUME 2 (1978). Original version from the album SONGBIRD (1978). Great song. From the album STREISAND SUPERMAN (1977). Amazing song. From the album STREISAND SUPERMAN (1977). Not a favorite, but still a good song. Original version from the album WET (1979). 12" Version from Donna Summer's albums ON THE RADIO: GREATEST HITS VOLUMES 1 & 2 (1979) & THE DANCE COLLECTION (1987). This song is just the best Diva duet I have ever heard. I wish that Madonna & Cher would team up for the second-best Diva duet. From the original motion picture & motion picture soundtrack A STAR IS BORN (1976). A beautiful song. This is such a beautiful song. From the original motion picture & motion picture soundtrack A STAR IS BOWN (1976). This is another beautiful song, but I think that Kris Kristofferson needs to stick to acting, rather than sing. Don't get me wrong, Kris' voice is not bad, but I like him better as an actor than a singer. From the album GUILTY (1980). Not bad. From the album THE WAY WE WERE (1974). From the original motion picture & motion picture soundtrack THE WAY WE WERE (1974). Another beautiful song. MEMORIES is another album that all Barbra Streisand fans should have by now. If not, then make sure you buy this album because it is very enjoyable. I really do enjoy hearing this album because it is one of Barbra's best, so take my advice and buy this album. I promise that you will not regret it. If you do regret it, then I can say that I tried.